When it comes to traveling, there are four aspects that determine a trip budget: transport, accommodation, food and cultural visits. We don’t have to worry, because it is possible to enjoy a complete stay in Barcelona without making big holes in our pockets and without depriving us of anything that forms a complete plan in the city of Barcelona. So next we will give you a set of suggestions to plan your perfect & low cost trip. The first thing is to find budget accommodation that is comfortable and counts with all the basic services, you’ll be able to find this with a rental apartment of basic comfort during some days. Once we know where to stay, we must decide how are we going to commute and the means of transport we are going to take, not only around Barcelona, but also to get to our apartment from the airport. So we must obtain transport tickets, tourist cards, etc. to reduce costs from the beginning. Last but not least, we have to select the dates of the trip we want to travel and prepare a sightseeing route that will allow us to see a lot for very little. Festivities of Santa Eulalia: to honor the other patron of the city, Barcelona pays homage in form of a festival of lights. It takes place on the weekend around the 12th of February in which the main tourist attractions of the Gothic and El Born districts are dressed in color and decorated with interactive audiovisual elements. Carnival: following the style of the spectacular carnival of the nearby town of Sitges, Barcelona celebrates also a spectacular Carnival every year that fills with joy the streets of the city center. The night of museums: this cultural celebration takes place during mid-May. 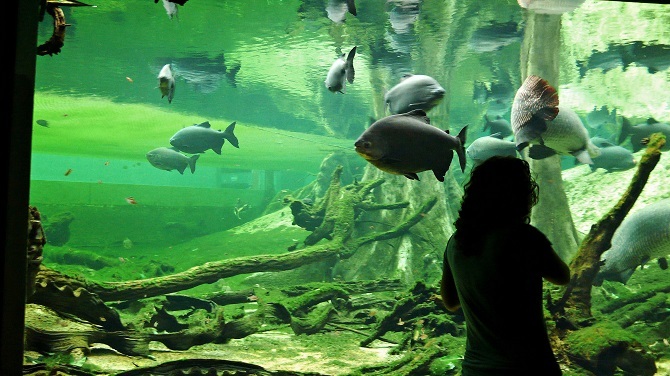 The vast majority of the museums, exhibition centers and monuments of the city open their doors to the public for free. Neighborhood celebrations: from mid-spring to autumn, each district of Barcelona has its own week of celebrations with cultural activities, outdoor concerts, gastronomic fairs and open days in the unique buildings of every district. 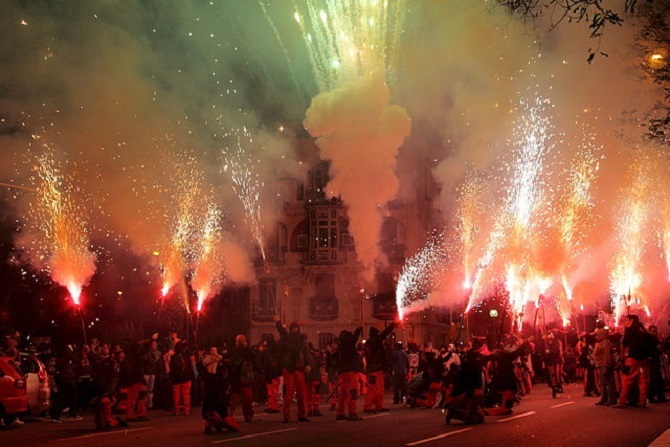 These celebrations have their peak in mid-August with the parties of the neighborhood of Gracia and Sants. La Mercé: the biggest party in Barcelona. An incredible display of cultural activities, with an unabashed schedule of 600 events and more than 80 free concerts culminating with the unforgettable Piromusical. If you plan to travel in mid-September to the Catalan capital, do not hesitate to do it around the 24th. 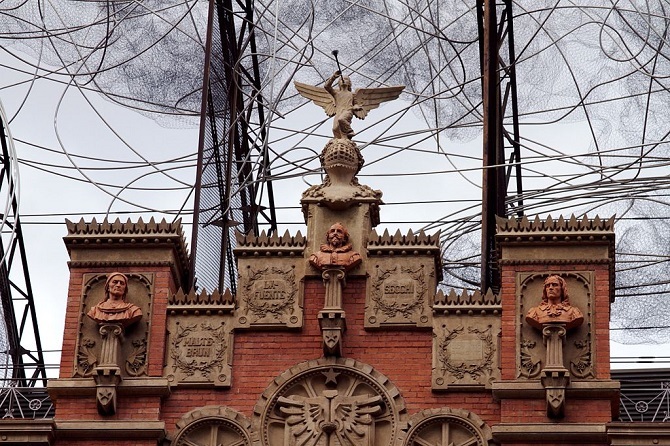 48H Open House Festival: this tribute to Barcelona’s architecture has been celebrated for six years now both in its emblematic monuments and in those unique buildings that do not appear in tourist guides and that are a surprise for all. Christmas in Barcelona: traditional markets, mappings, concerts, audiovisual shows, lights that decorate the whole city… Christmas is lived intensely in Barcelona, so a simple walk around one of its districts is enough to get fully soaked in the Christmas spirit. 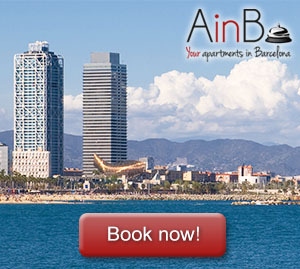 …Or at very low prices, such as those that allow access to the best monuments and museums through the Barcelona Card, with a reduced price that ranges between 18-54 euros and allows us to access the city’s must-sees such as Casa Batlló (whose simple ticket costs 18 euros per person). There are other options such as Articket BCN, with it we can visit the museums CCCB, MACBA, MNAC, Fundació Antoni Tàpies, Joan Miró and the Picasso Museum for just 30 euros, which also includes entrance to the Pedrera (€20 single ticket). From discounts on the rental price of the apartment to free admission to other monuments such as the Palau de la Música (22nd November for the day of Santa Cecilia, patron saint of Music) or the Sagrada Familia (which periodically opens its doors, distributing up to 30,000 tickets on a weekend) making an effective search and planning, allow us to save a good quantity of money while enjoying the great wonders of this exciting city. Come and discover them at a low cost!